Canada has launched a new defence policy that commits to a range of new investments for the Canadian Armed Forces. The policy, Strong, Secure, Engaged, announced by Canadian Defence Minister Harjit Sajjan on June 7 in Ottawa, will see annual defence spending grow from $18.9 billion in 2016/17 to $32.7 billion in 2026/27, on a cash basis, an increase of more than 70%. Most of the new money will be spent on better ISR, cyber and aerial surveillance and attack capabilities. NATO member countries have come under increasing pressure to increase defence spending as an overall percentage of GDP after US President Donald Trump laid down the gauntlet on the campaign trail and in the first few months of his presidency stating that NATO member countries were not paying their way by not spending at least 2% of GDP on defence, a target agreed by NATO in 2014. Canada is among those NATO member countries that in the majority spend 1% of GDP or less on defence. According to World Bank data, Canada spent just 1% of GDP on defence in 2015. But according to NATO figures, in 2009 Canada spent almost 1.5% of GDP on overall defence expenditure. In terms of defence equipment expenditure as a share of total defence expenditure, Canada spent 18.06% on equipment in 2016, the 11th highest equipment expenditure in the alliance behind Italy on 20.24%. At the meeting of NATO heads of state in Brussels on the 25 May, Secretary General Jens Stoltenberg stated that NATO leaders had agreed to do more to ensure fairer burden sharing across the Alliance. “Today, we decided to develop annual national plans, setting out how Allies intend to meet the defence investment pledge we made together in 2014. The national plans will cover three major areas: cash, capabilities, and contributions,” said the Secretary General. 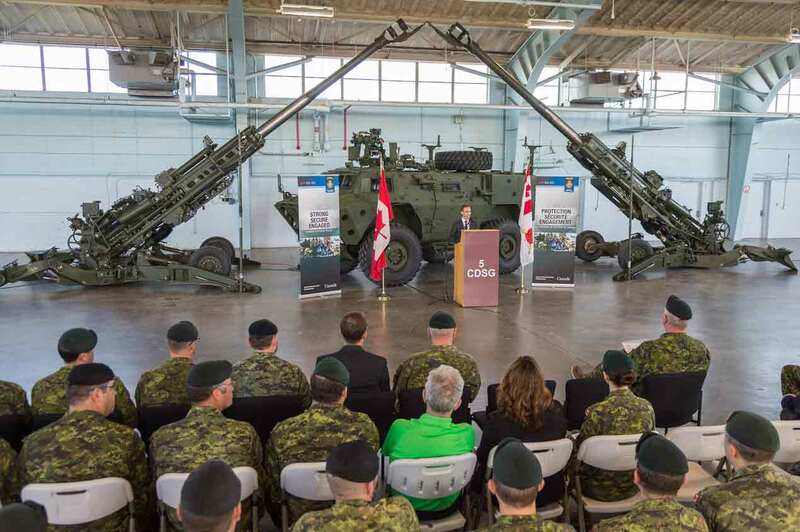 In a statement following the release of its new defence policy, the Canadian government said it would ensure critical core capabilities and equipment that are underfunded and unfunded can now proceed on a sound footing. It will also support growth in emerging domains such as space and cyber, and critical areas such as intelligence and Special Operations Forces. Minister Saijan says the policy is fully costed and funded. • Create a new CAF Cyber Operator occupation to attract Canada’s best and brightest talent to cyber functions. • Invest in a range of remotely piloted systems, including an armed aerial system capable of conducting surveillance and precision strikes. • Launch a new programme, Innovation for Defence Excellence and Security (IDEaS), which will see $1.6 billion invested over the next 20 years to modernise the way National Defence generates solutions through new co-operative partnerships with the private sector, universities and academics. • Establish up to 120 new military intelligence positions, some of which will be filled by reservists, and add up to 180 new civilian intelligence positions. • Strengthen relationships with the defence community, including academia and the private sector. The policy also aims to improve the procurement process within National Defence to halve departmental approval times and enable more than 80% of defence procurement contracts to be managed by National Defence. 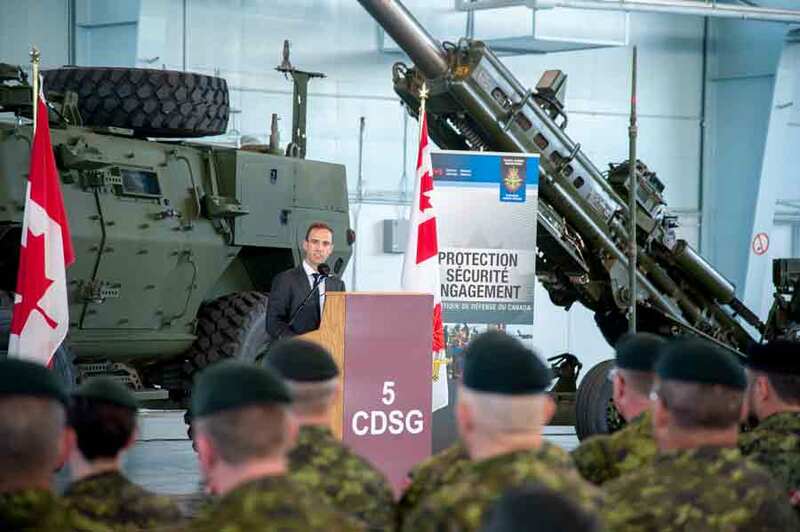 The Canadian government says the defence policy is the most comprehensive review process in Canada’s defence and security history – a year-long review process that included open and transparent consultations with Canadians, parliamentarians, defence experts, allies and partners.